These day-to-day conveniences will affect your life more than you'd think. Microsoft’s Windows 10 October 2018 Update differs from past Windows updates in an important way: This time around, the day-to-day improvements will impact you in more profound ways than the new features. So while we’ve reviewed the new Windows OS, we’ve also separated these new conveniences into their own story. What’s a feature? What’s a convenience? Think of it this way: Not all of you have used Windows 10’s Paint 3D app. But probably every one of you has managed files within Windows and the cloud, used Windows’ search function, and adjusted the size of a font or text. We’re calling these the “conveniences” of the Windows 10 Oct. 2018 Update. They may just make your life easier. Not every Bluetooth device will be able to report its charge. 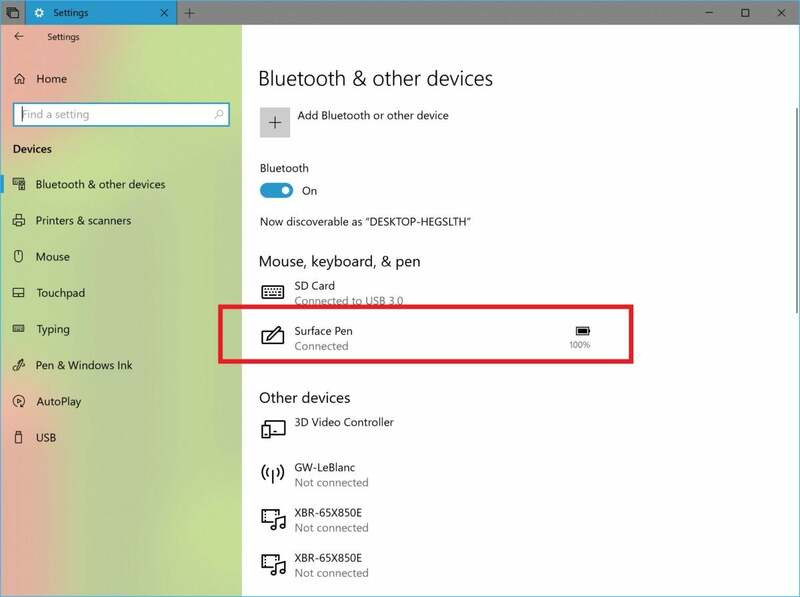 Assuming the connected device has the ability to report its charging data, you’ll now see a battery gauge attached to it within Settings > Bluetooth & Other Devices. Not every device supports battery polling, especially older peripherals. But it’s a handy way to check up on the battery status of say, a wireless mouse, before leaving on a business trip. 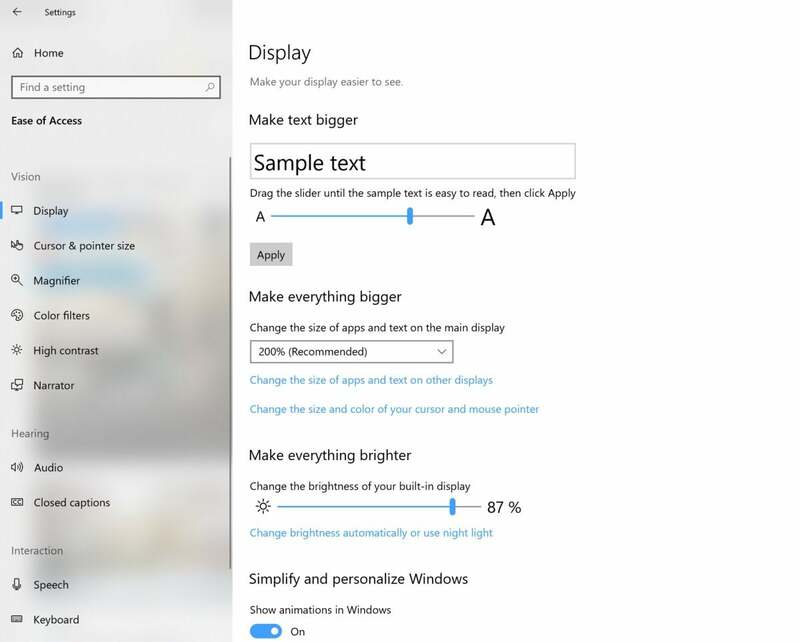 If you’ve wanted to make Windows easier to read for those with poor eyesight, the traditional answer has been to use the Settings > Ease of Access > Display setting to “zoom” Windows in—increasing the size of virtually every element on the page, including the navigation elements within a window, for example. That can lead to awkwardly sized pages and apps. Now, there’s a different way. As it is, the “Make everything bigger” control isn’t universal—which will either be a forgivable offense or just annoying. The same Settings menu now offers the ability to just “Make text bigger,” and allows you to adjust a slider to enlarge or shrink sample text. When you’ve settled on a size, click Apply—and, after a rather alarming BSOD-like screen, Windows will resize all the text on the current screen in Settings, UWP apps, and even some classic apps. It’s not perfect: While it resized text on the Edge browser on one of my screens, text within a set of Chrome tabs on another was left untouched. Notifications were awkwardly formatted, and the control didn’t appear to do anything to the search box. Other than those caveats, “Make text bigger” is an easy way to resize text without breaking out the bifocals. A new ransomware protection mechanism, controlled folder access, can be found within Settings > Windows Security > Virus & Threat protection. 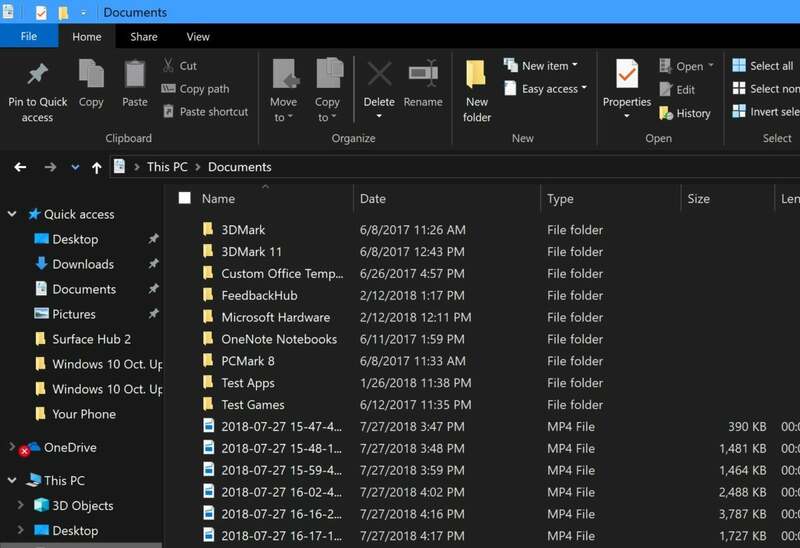 Here, you have the option of locking down folders like your Documents folder to Windows and selected apps.Turning on controlled folders is like a folder firewall: Windows will block folder access to an app if it thinks it’s suspicious, preventing that ransomware from attacking your data or holding it hostage. Like a firewall, though, the setting allows you to give access to an app if you’re sure it’s okay. Like your phone, your PC should adjust its backlight power when you go outside. Many do: if you go to Settings > System > Display, you may see an option to “Change brightness automatically when lighting changes.” But while this powers up the backlight high enough to allow you to say, type in a Word document, video will still probably look washed out. The “adjust video based on lighting” setting makes it easier to view video outdoors, at the cost of some fidelity. Granted, you’ll need a laptop with a backlight that’s powerful enough to make this feature viable, and a sensor that can detect different lighting levels. Though you may never use it, Microsoft’s Storage Sense (Settings > Systems > Storage) can be used to locate and erase unused temporary files, squeezing out a bit more space for your documents and other user files. Within the October 2018 Update, Storage Sense gains some new powers: a possibly controversial integration with OneDrive. Storage Sense can now clean out files you want stored only on OneDrive, and not on your PC. 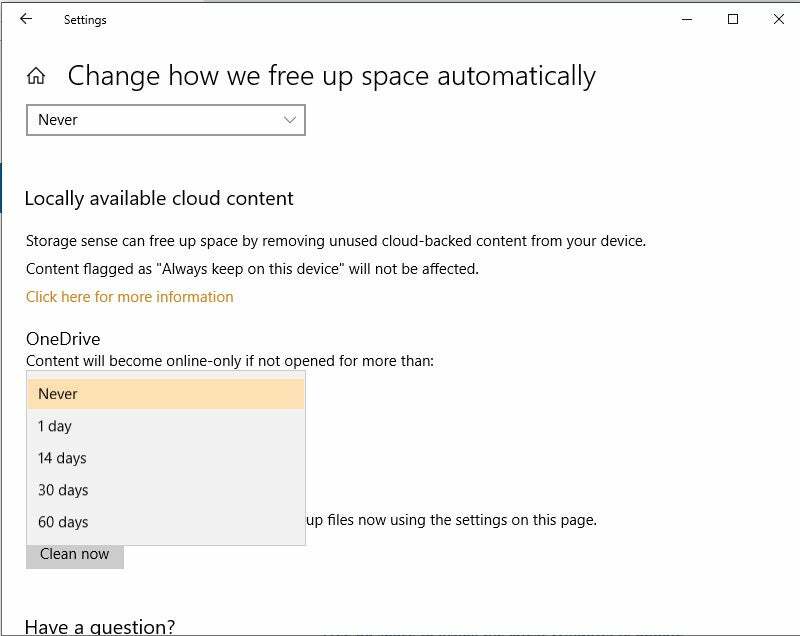 Within the October 2018 Update, you’ll have the option to send unused files to your OneDrive cloud, where they won’t take up local space. It’s the equivalent of automatically moving old boxes of stuff from your garage to an offsite storage unit. (Microsoft uses an odd name for this: dehydration.) In this case, the file won’t disappear; it will simply “dehydrate” into one stored within the cloud, which you’ll need to re-download if you want to access it. You can turn this on for files that you haven’t touched in a given period (60 days, say), or if your PC’s available storage dips below a certain threshold. You can tag files as “always available,” which means that they’ll always be stored locally on your PC even if they are left alone for a long time. Storage Sense was toggled on for my PC, and it’s set to send unused files to the cloud every 30 days if needed. If you turn on Storage Sense and opt to “dehydrate” unused files, you many end up with many of them residing in the cloud only (as indicated by the column of cloud icons). If there’s a problem syncing a file, you’ll see the red ‘X’ icon next to OneDrive. As Microsoft’s Aniket Naravanekar explained in a recent blog post about Storage Sense, the feature’s purpose is to help Windows to run smoothly. But does that mean that your unused multi-gigabyte games library will be sent off to the cloud, requiring you to re-download it? Let’s hope not. 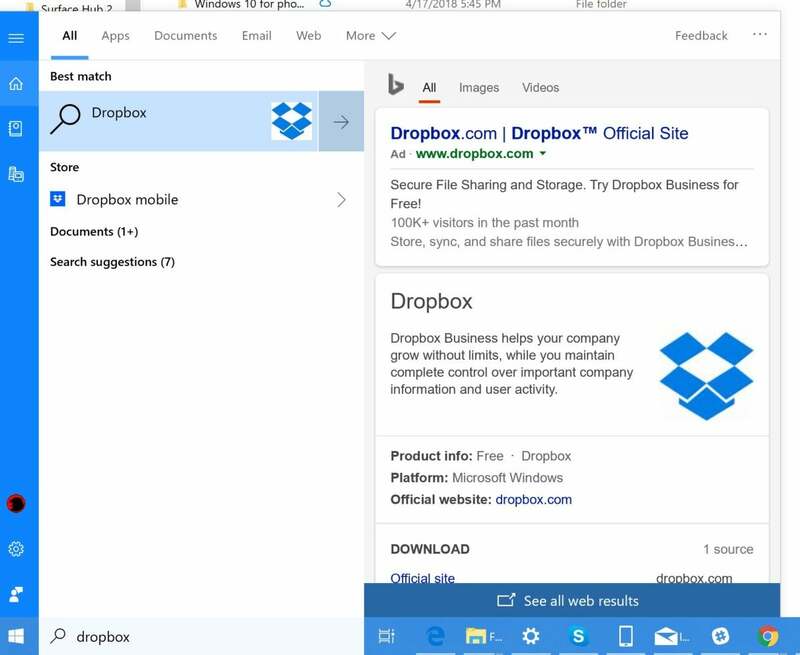 Microsoft’s putting more into its Search box—notice the expanded search options for apps, documents, and more. If you use Office 365, you’ll see more there with the new Microsoft Search, too. You can see the larger search box within the April 2018 Update by entering a search query, then clicking the blue result “to see Web results”. In the October 2018 Update, the large-format results box opens automatically, which also includes tabs for apps, documents, email messages, and more. There’s one quirk: if you’re used to typing a query and then hitting Enter, Windows will still open a browser window, as before. Training yourself not to do that, in order to see the in-window search result, is tricky. Microsoft’s actually touting this improvement as a server-side update, so you may see it regardless of how quickly your PC receives the October 2018 Update. As part of the new search function, you should see blue download buttons that Microsoft sometimes injects when you search for a downloadable app. It’s worth noting, too, that Google is trying a similar strategy: tucking search results inside its Chrome 69 omnibox. Focus Assist is Microsoft’s name for a feature that limits or turns off notifications depending upon your preferences. 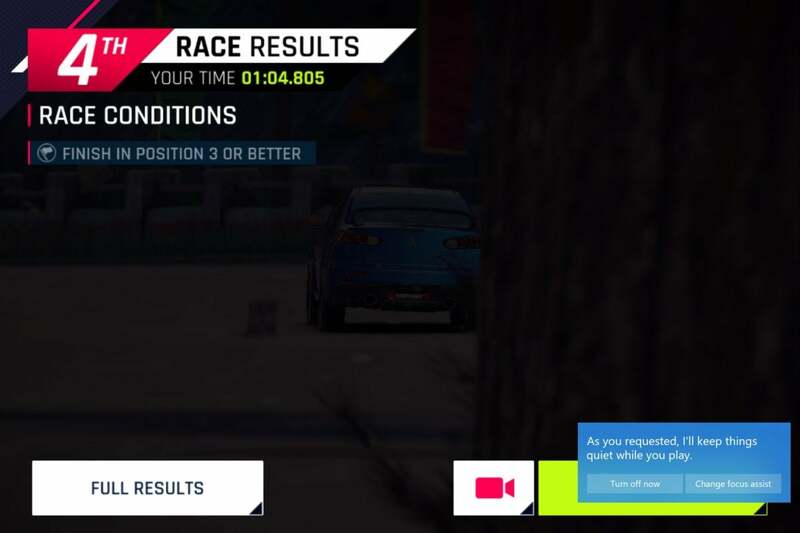 In the October 2018 Update, it turns on automatically when you’re playing a full-screen game. You won’t receive any notifications to disturb your gaming with the October 2018 Update of Windows 10. 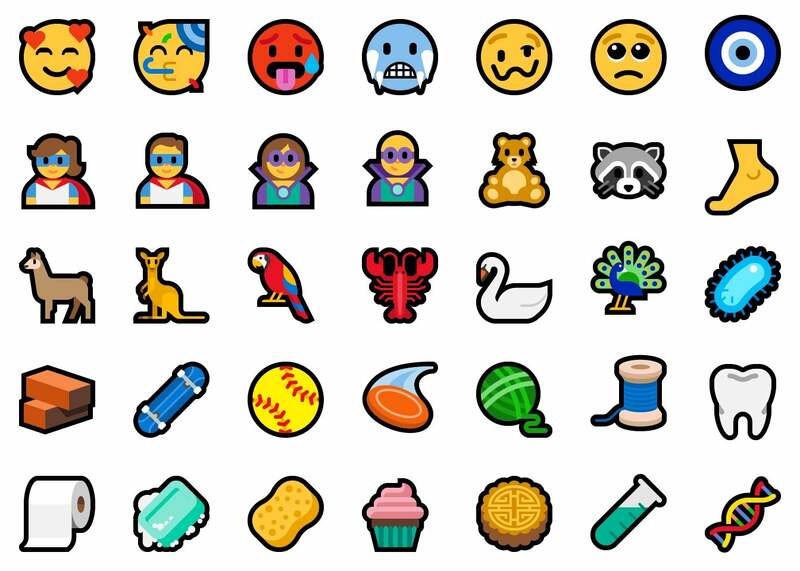 The Windows 10 emoji keyboard can be launched by Win+; which makes sense when you think about it. With the October 2018 Update, Microsoft has incorporated the new Emoji 11 into the emoji keyboard, which includes characters like redheads, a lobster, and dynamite, as well as lesser-used languages such as Mtavruli and Hanifi Rohingya. Members of the Windows Insider beta-testing group become obsessed with certain proposed features. One of these is a dark theme for File Explorer, which has finally arrived. Is this dark theme dark enough for you? If you typically project a PowerPoint presentation or OneNote notebook for a classroom, you probably mix and match text, video, and (occasionally) gaming. A toolbar like this will appear once you try and connect wirelessly to a display. 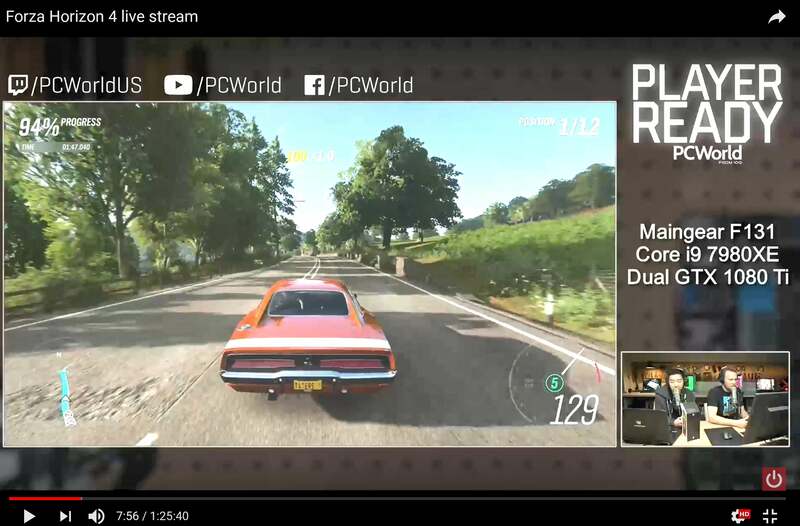 A small convenience within Windows (and its Connect app) is that wireless projection connections will now have their dedicated toolbar, along with three modes: a low-latency game mode, a higher-latency video mode (to stream videos smoothly) and a “productivity” mode that’s somewhere in between. We didn’t have a chance to test this out, but it should help fine-tune wireless connections to sharpen the experience. Microsoft originally promised that its SwiftKey keyboard would arrive with the Windows 10 October 2018 Update, but only part of it apparently landed. You can turn on SwiftKey text prediction to better predict auto-completed words, but the other half—the ability to swipe from letter to letter—doesn’t appear in the build. We still don’t have a built-in Windows capability that reveals the power draw of various components. It would be nice, for example, to be able to tell how much power your laptop’s display consumes. Over time, though, the Task Manager has added more and more information about your system. 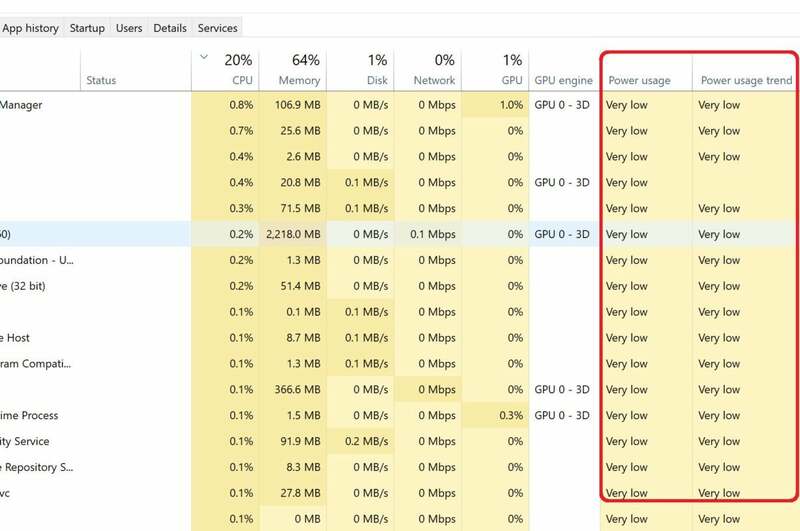 The April Update displayed the GPU resources consumed, and now an additional column displays the relative power of each app within the Processes tab. By default, the two right-hand columns within Task Manager are now assigned to watching power draw. While geeks might want a more granular report, at least you can be assured that all of the apps shown here are behaving properly. On paper, this sounds better than it actually is. “Power usage” and the related “power usage trend” is displayed with vague terms such as “very low. That may be useful in rooting out an app that’s inexplicably sucking down power, but it doesn’t tell you much in terms of absolute values. Still, it’s a convenience. We’ve previously dug through Cortana Show Me, a tips-like app that attempts to put tech media sites like PCWorld out of business with handcrafted walk-throughs of various features. No matter. It would be sort of silly if these Cortana-driven walk-throughs were available only from the app itself, and not via Cortana. Well, now they are. Cortana Show Me presents bite-sized, narrated tutorials on how to use Windows features. 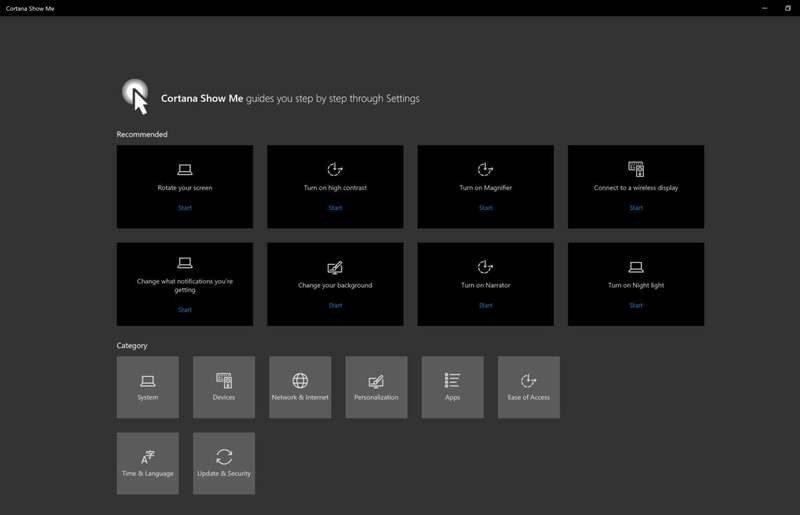 If you or a family member need help with some basic tasks—try “Show me how to change my background”—they can just talk to Cortana to launch the tutorial. Putting the blame on the user, though, does no one any good. One of the more anticipated conveniences within the October 2018 Update was a sort of an “update AI.” Microsoft said it had trained a predictive model that could pick the right time to restart your PC and apply an update, and notify you before doing so. The problem is that we’re not quite sure whether the Smart Updater or Update AI is actually in the Windows 10 October 2018 Update. Because we couldn’t actually test it, we asked Microsoft whether the feature was present. Microsoft told us that they had “nothing to share,” so we concluded that Microsoft left it out. But who knows? 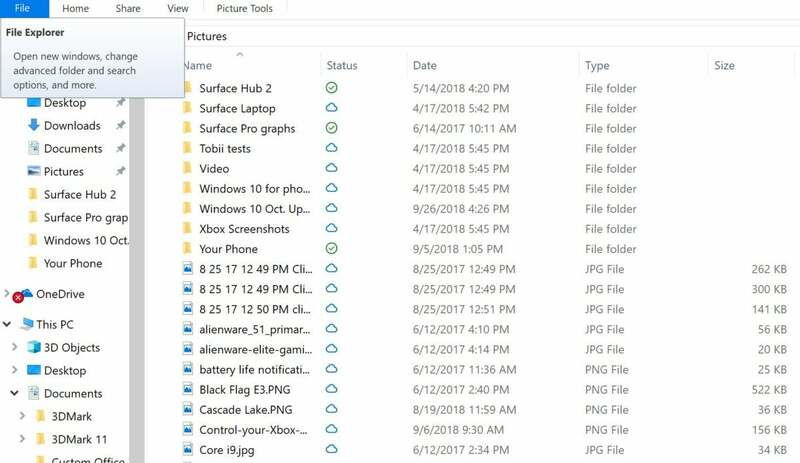 While there are other, lesser conveniences floating around—Microsoft sure made a big deal of the ability to find and replace data within Notepad—we think we’ve found most of them you need to know about. Now it’s onto the snappily-named “19H1” track for Windows 10, the update of Windows that’s due next spring. Updated at 10:31 AM on Oct. 8 to note that the Windows 10 Oct. 2018 Update is on hold pending reports of user data loss.